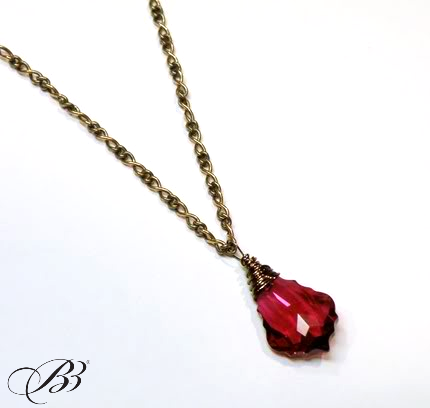 An absolutely gorgeous baroque Swarovski drop in deep red is wire wrapped to unique vintage brass chain from the 1970’s. So sparkly and beautiful! 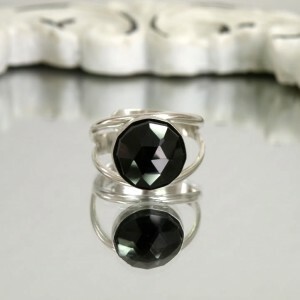 I love this unusual cut in the Swarovski crystal line. 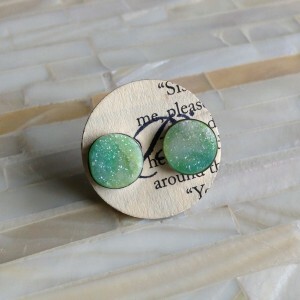 Old fashioned, rich, and decadent… it’s the perfect vintage accent for any occasion! We have three chain lengths available: 16 inch, 18 inch, and 20 inch. Please specify which you prefer in the “notes to seller” – otherwise, we’ll choose one for you. Modeled by Odessa, who is wearing the Crimson Drop in 20 inches with the Amethyst Drop in 18 inches. 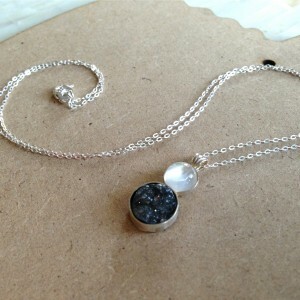 Categories: Inspirations Collection, Necklaces. 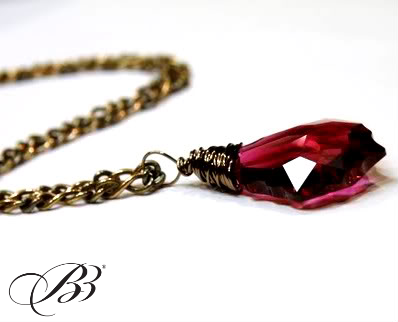 Tags: baroque, brass, crimson, crystal, faceted, handmade jewelry, red, sparkly, swarovski, twilight, vintage, wine. Here are just a few of the things customers are saying about this design!